Is there an official gallery to post the photos in? I said at the start of the campaign that I would build two AC! 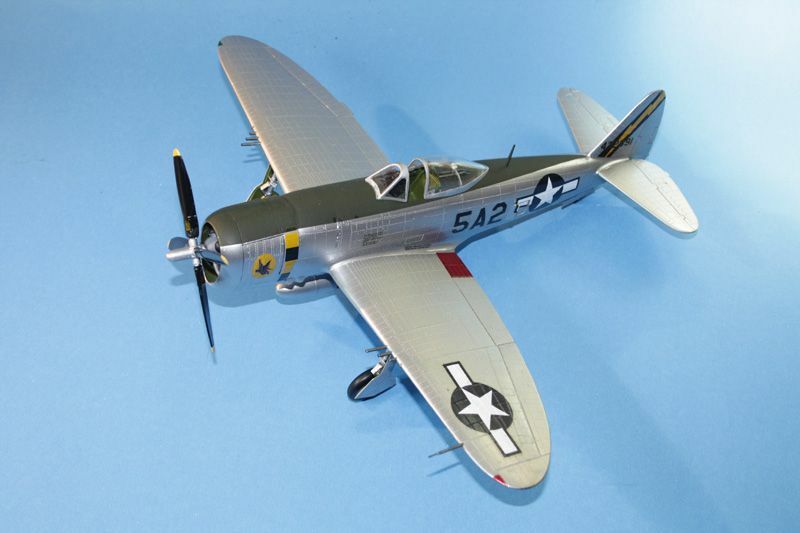 Here is #2 a Revell 1:32 P-47D (Mold date 1986). Thank you for the campaign. I wasnt able to finish either. 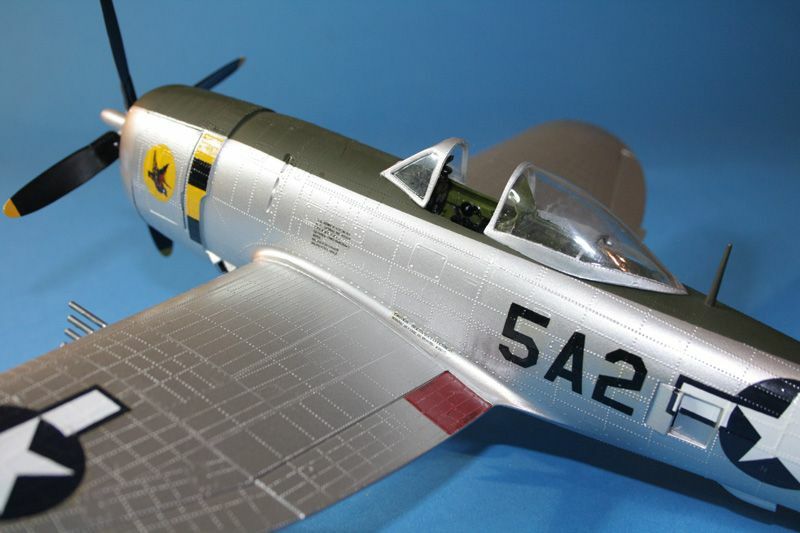 I havent had much time to work on models this fall, so unfortunately my Platz P-47 project goes into the Hanger Queen queue for next year. A bit deserted at the moment it seems. I haven't been to the bench since the beginning of October. Hi guys. Humble apologies for the lack of attention here. This year has been frantic for me on the real life front and I don't think I have totalled more than 3 or 4 hours at the bench or here on Aeroscale. I will try to get things cleaned up here over the next week or so. Many thanks to everybody who has contributed here. Ok folks, time to wrap it up here. Thanks to Jonathan (JClapp) for the very nice little ribbon which has now been awarded to those few who managed to get their builds completed. We even had a few multiple build players ! Special mention to Fred (Cinzano) who finished his build but didn't enlist so I can't throw a ribbon at you, sorry mate ! As always an extremely high standard of work by everybody, and it was very satisfying to see a few "Hangar Queens" getting their finishing touches and put in the display cabinet. 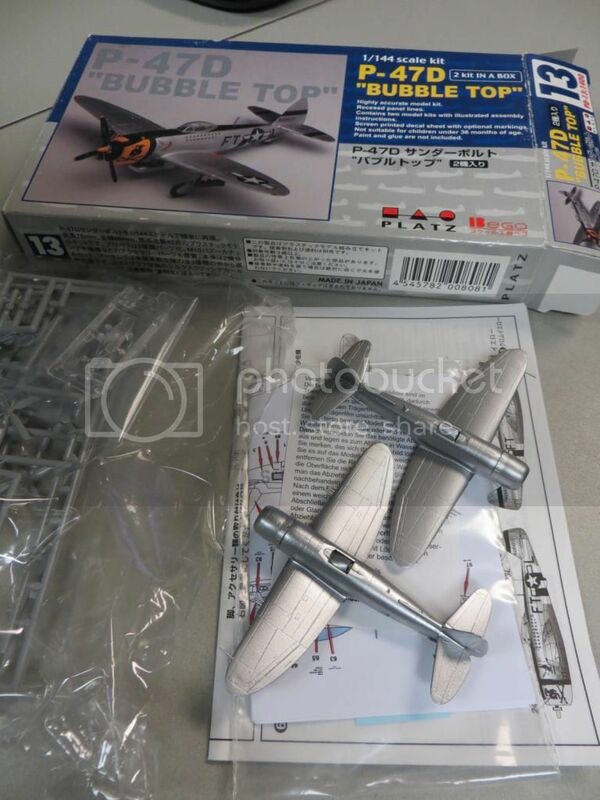 Watch out for the 2014 P-47 SIG Group Build, I think I might apply the same rules so that a few builds that didn't quite get finished here (mine included) can be completed. Thanks again to everybody who participated and/or contributed to the Group Build, it is always an honour to run the show with you guys. Thanks for the link to the gallery, just added 2 pics. And thanks for the ribbon, Damian. I got stuck last fall confronted with a difficult masking problem. If hanger queens are included, ill take another shot at it. Hi I was wondering if there is a 2014 Jug campaign in the works? 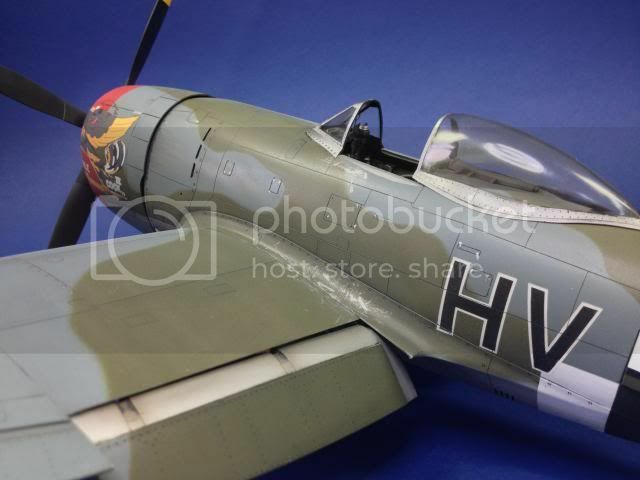 Funnily enough I was just chatting with Nige about that a couple of nights ago, and I think I might fire up another general P-47 Group Build with the same rules and regs as this one. Depending on the interest we get I might run it from April to September inclusive. Thanks for your interest, and welcome back to the hobby (I just read your profile). Hey,,,,I actually finished my entry but omitted to put the photos in the gallery which I've now done! Can I have a ribbon please boss? Maybe I can get something built in 2014 as well??? No, you don't contribute here enough to deserve one! 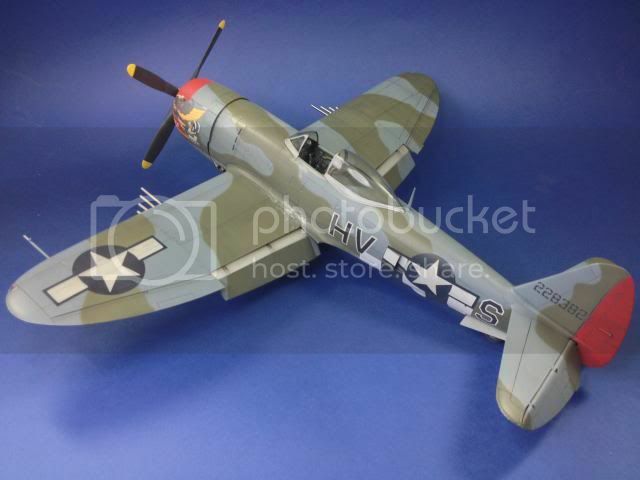 Seriously nice build Nige, another gem for the display cabinet mate. That would be great. Would look at trying to get decals for a 1/48 Razorback for Penrod and Sam in salute to my first ever kit.